The taste of bile in the morning coupled with panic attacks and restless leg syndrome did not a magical nine months make. Savoring the precious moments of pregnancy was not something I was doing. As I heard other women go on and on about how they’d never felt better, I would throw up in my mind, and then run to find a bathroom for real. I didn’t gaze at my growing belly with delight. I wasn’t hoping for a late delivery. I was up late each night googling ways to get the baby OUT. I was done….at about week 11. And you know what? I’m not any less of a mother than the women who cherished and relished each moment of pregnancy. You see, there are some out there who seek to make those mothers like me feel guilty…feel less than…They shove saccharine sayings down our throat until we’re reaching for our Zofran. “But being pregnant is SUCH a blessing!” Know what? I whole-heartedly agree. Being pregnant IS a blessing….one that some women would do anything for. BUT, you don’t have to like it. You do NOT have to enjoy it. It does NOT have to be the best time of your life. And you know what? If you are lucky enough to give birth to a child….any moment you spend with them OUTSIDE of your womb far surpasses the time you spent carrying them inside. So, if you’re one of the lucky few who had a belly cast made, long to wear the pants with the big elastic pad, love the gamble of sneezing on a full bladder, and wept for joy with every baby kick, recognize that you had an incredible experience. You are blessed to feel the way you do, and I’m so happy that pregnancy was a gift for you. 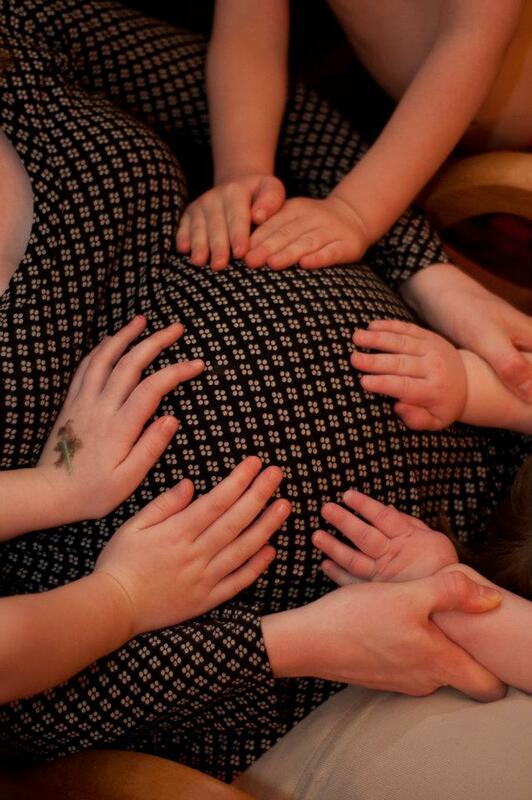 However, if you are like me, and cry at the thought of ever having to carry another child….it’s okay. You have every right to feel that way. Not loving being pregnant does not make you a bad person or a bad mother. Until next time, forgive each others’ differences, and remember…you have my permission.